The U.S. Preventive Services Task Force recommends continued osteoporosis screening for women after age 65 and suggests new tools to screen for women younger than age 65 in a report recently published with an accompanying editorial in the Journal of the American Medical Association. Specifically, the Task Force recommends physicians screen women for osteoporosis after 65 via widely available bone measurement tests. The Task Force, which is an independent panel of experts supported by the U.S. Agency for Healthcare Research and Quality, also recommends physicians screen women younger than age 65 via bone measurement tests if they are at an increased risk of osteoporosis — as determined by clinical risk assessment tools. However, an editorial accompanying the study explains the Task Force increased the number of clinical assessment tools that can be used to assess an osteoporosis risk. The editorial notes recent research suggests the viability of three assessment tools rather than one recommended by the Task Force in 2011. 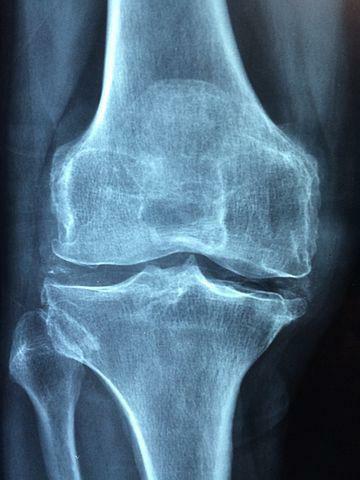 Similar to their 2011 recommendation, the Task Force did not suggest osteoporosis screening for men regardless of age. The Task Force again concluded there is insufficient evidence to assess the current balance of benefits versus risks to screen men for osteoporosis. The editorial accompanying the report suggests hip fracture rates in the U.S. recently exceeded previous projections for both men and women. The editorial notes about one in five men after age 50 and about one in three women will experience an osteoporotic fracture in their lifetime. In the U.S., an estimated 44 million adults have either osteoporosis or low bone mass. MedlinePlus.gov's osteopororsis health topic page explains osteoporosis is a disease that thins and weakens bones. Meanwhile, the National Institute of Arthritis and Musculoskeletal and Skin Diseases provides an overview of osteoporosis within the 'start here' section of MedlinePlus.gov's osteoporosis health topic page. The National Institute of Arthritis and Musculoskeletal and Skin Diseases explains bone mass measurements in the 'diagnosis and tests' section of MedlinePlus.gov's osteoporosis health topic page. The National Academy of Orthopaedic Surgeons details how to gain healthy bones at every age within the 'prevention and risk factors' section of MedlinePlus.gov's osteoporosis health topic page. Links to the latest pertinent journal research articles about osteoporosis are available in the 'journal articles' section of MedlinePlus.gov's osteoporosis health topic page. Links to relevant clinical trials that may be occurring in your area also are available in the 'clinical trials' section. To find MedlinePlus.gov's osteoporosis health topic page, please type 'osteoporosis that's O...S...T...E...O...P...O...R...O...S...I...S' in the search box on MedlinePlus.gov's home page, then, click on 'osteoporosis (National Library of Medicine).' MedlinePlus.gov also contains health topic pages on: vitamin D; bone density; and fractures.